Are you struggling to keep your agency employees? Tired of spending time training team members who leave too soon? Employee retention is one of the hardest parts of running an agency, and one of the most important parts of growing. Learn how you can keep your employees happy, fulfilled, and ready to grow right along with you. Why your agency must dominate employee retention. 9 ways your agency can boost its retention rate. 4 steps to creating a team development map. 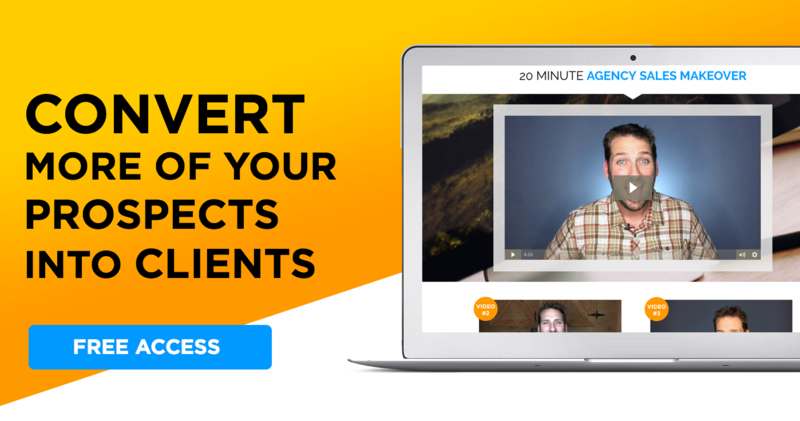 On today’s show, I talked with Tommy Chenoweth the Senior Director of Team Development at January Digital — a full-funnel marketing agency. Tommy spends his time focusing on the talent pipeline, which includes retention practices. Tommy’s been with January Digital for many years, but as the agency has grown his role has become critical for their future success. As they’ve gotten bigger and hired more employees, Tommy’s onboarding and retention practices have helped them gain serious momentum. Employee turnover is a major pain, right? Onboarding and training are expensive and time-consuming. But, beyond the hassle, employee attrition has some serious agency-wide consequences. First, when someone leaves your agency it may make pique the curiosity of your other employees. They will wonder why they’re leaving… Are they getting paid more? Working on better projects or clients? Getting better benefits? Those are all the questions your employees are asking themselves when others leave. Second, it’s nearly impossible to sustain growth when agency employees are always jumping ship. When the focus is on constantly training new employees, responsibilities get shifted and client relationships suffer. Finally, and this is the big one, your clients are going to notice. When an employee leaves the team, the client starts to wonder why. Even worse, when a new employee joins the team, no matter how well you onboard and train internally, the client feels like they’re starting all over. Hire the right people: Hire employees that match your core values. You can teach skills but culture and personality either fits or it doesn’t. Check out this 10-step hiring process. Fire fast: It’s true when they say “hire slow, fire fast.” Don’t be afraid to get rid of employees who are creating or contributing to a negative atmosphere. Because one bad apple can spoil the whole bunch! 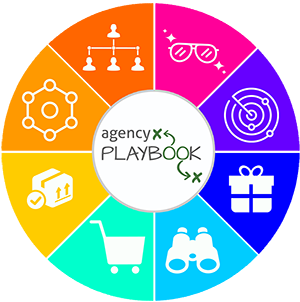 Find purpose: Don’t be an accidental agency owner. Make sure your agency has a vision and share it with your team. People want to believe in and contribute toward a common goal. Provide mentoring: Make sure the leadership team is sitting down with employees at least once a month to build give guidance and direction. Pro tip: when you do “reviews” don’t call them that! Instead, call them coaching sessions or mentorship meetings. Find a term that emphasizes the positives of the meeting. Develop a flowing culture: Make sure your culture is embedded deep in your agency. If employees are deeply rooted in your company culture, they’re more likely to stay longer. Promote based on value: Don’t give promotion based on tenure. Instead, consider the value the employee brings to the agency and promote when it’s deserved and needed for agency growth. Designate outcomes: Don’t assign tasks; assign them outcomes. Your employees are your single greatest resource. Allow them the freedom to express their creativity. You’ll win more clients, keep more employees, and see some great results. Allow employees space: Tommy calls this a “bridge concept.” Give your employees the ability to prove they’re ready for the next level by bridging their current role and the next level. Let them take on some managerial tasks if they want to be a manager. Allowing them this latitude will give you a better idea of their capabilities to handle higher level responsibilities. Tommy has created a development map to ensure each employee has a clear path for progression. Find all of the top performers at your agency and figured out what core traits set them apart. Have all of your employees list things they do that are unique to them in their job role. These things add value to the agency but only one individual is doing them. Categorize those skills into 4 core buckets: digital acumen, client service & strategy, management, and contribution to culture. Map out a linear progression of skills required for promotion within the agency. This way your employees know exactly what skills they need in order to advance!